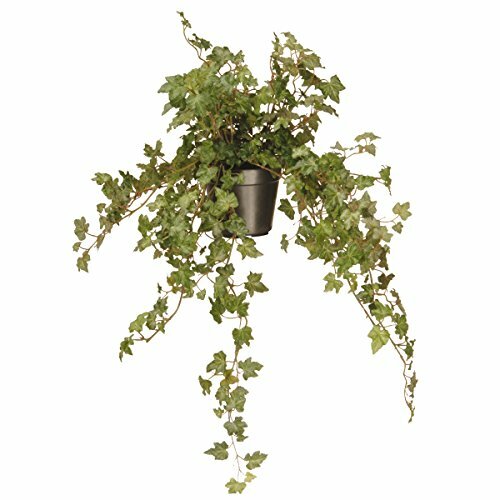 This ivy plant is part of the garden accents line of home decorating ideas. Features multi-hued green leaves flowing up and out of a glossy black growers pot. This artificial tabletop plant appears to be living yet requires no maintenance, water or sunlight. Can be displayed in indoor or covered outdoor locations.